The Browns say they’re open to giving Gregg Williams the full-time head coaching job if things go well in his half-season audition. 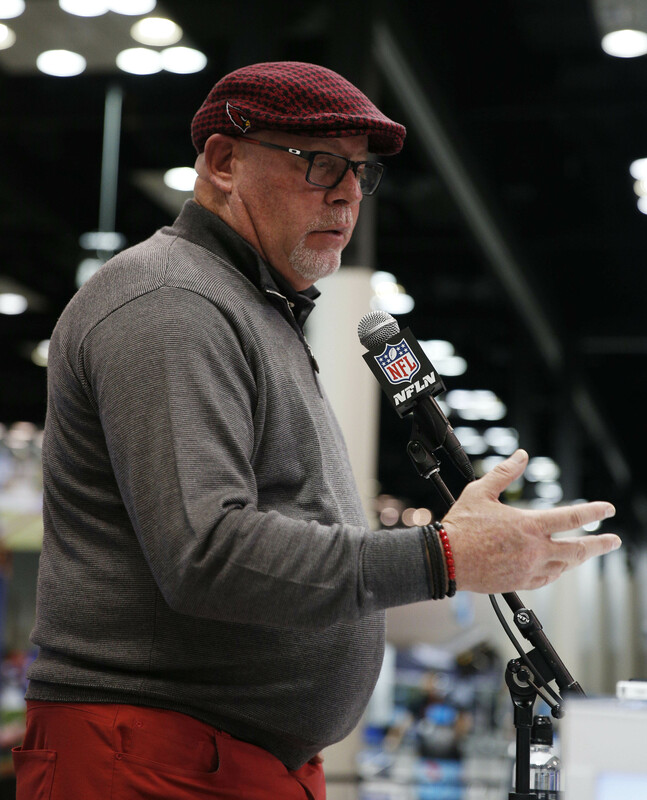 If things don’t go well, former Cardinals head coach Bruce Arians says that he would be interested, adding that it would be “the only job” that he would consider (via Steve Doerschuk of The Canton Repository). Arians, 66, retired as the Cardinals’ head coach after the 2017 season. He previously indicated that he is happy in retirement, but he would be willing to don the headset again for a chance to get the Browns on the right track. In 2002, Arians helped push the Browns in the right direction as their offensive coordinator. The Browns were unable to topple the Steelers in the playoffs, but Arians believes that he is the right man for the job as the club looks to take a giant leap forward in 2019. The Cardinals went 49-30-1 in Arians’ five seasons at the helm. He also did a phenomenal job of guiding the Colts during Chuck Pagano‘s absence in 2012, coaching the club to a 9-3 finish over the last three months of the season. The supremely confident Arians believes that he is the best man for the job in Cleveland, but if he does not wind up with the gig, he suggests that the Browns should consider Pagano. For now, the Browns are Williams’ team, and the defensive guru will look to snap the Browns’ four-game losing streak when they take on the Falcons on Sunday. Though come on walls17 give him props for his hat choices! He needed some speaking classes. He’s very intelligent and could be great at TV. In his 3 years as OC for the Browns they ranked 31st, 23rd and 26th in yards gained…so yeah Bruce, you would be the perfect choice for next HC. Arians has done well with young QBs. They could do worse. I like Arians, a lot. Not sure he would be a good fit for Cleveland. Not sure hiring another retread is what the franchise needs right now. “ Pagano” what a disaster he was. Loved Arians but put down the meth pipe.